Melissa S. Kearney is the Neil Moskowitz Professor of Economics at the University of Maryland. She also serves as Director of the Aspen Economic Strategy Group. She is a Research Associate at the National Bureau of Economic Research (NBER); a non-resident Senior Fellow at Brookings; a scholar affiliate and member of the board of the Notre Dame Wilson-Sheehan Lab for Economic Opportunities (LEO); and a scholar affiliate of the MIT Abdul Jameel Poverty Action Lab (J-PAL). She is a senior editor of the Future of Children and a co-editor at the Journal of Human Resources. She also serves on the Board of Governors of the Smith Richardson Foundation and on the Social Inequality Advisory Committee of the Russell Sage Foundation. Kearney served as Director of The Hamilton Project at Brookings from 2013–15 and as co-chair of the JPAL State and Local Innovation Initiative from 2015–18. Kearney’s academic research focuses on domestic policy issues, especially issues related to social policy, poverty, and inequality. Her work has been published in leading academic journals and has been frequently cited in the popular press. Kearney teaches Public Economics at both the undergraduate and Ph.D. level at the University of Maryland. She received her Ph.D. in Economics from the Massachusetts Institute of Technology. 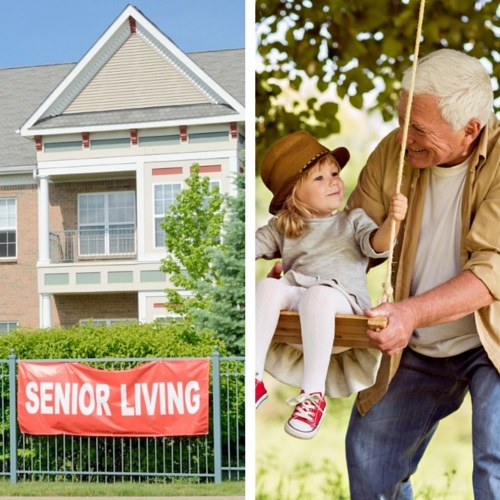 Rising life expectancy and potentially exorbitant long-term care costs have increased the financial resources required to support oneself and one’s spouse in retirement and old age. This set of economic facts offer bring attention to trends in Americans’ financial security and preparedness for retirement. Scholars and public commentators have recently debated the impact of education on earnings and earnings inequality. Some have argued that improving education is not the sole solution to inequality. Brad Hershbein, Melissa Kearney and Lawrence H. Summers clarify the different elements of the public debate and respond to a contending essay from the Washington Center for Equitable Growth. 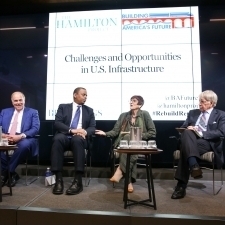 On May 11, as part of Infrastructure Week, The Hamilton Project and Building America’s Future co-hosted a public forum discussing the challenges of U.S. infrastructure financing and potential policy solutions. 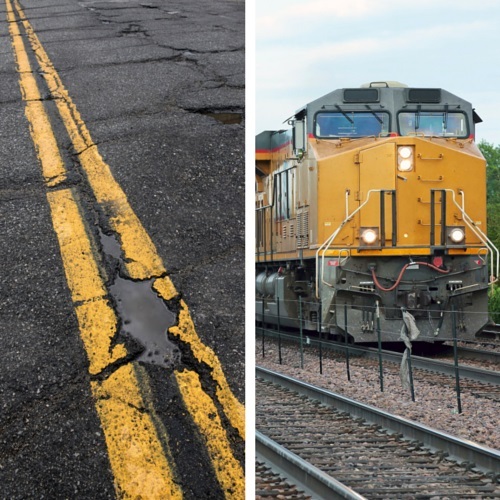 Many agree on the need for increased investment in America’s aging infrastructure, including roads, bridges, and airports. This set of economic facts provide objective background to help guide necessary policy and political discussions. There has been tremendous focus in recent years on the plight of the typical American worker. In this economic analysis, The Hamilton Project takes a careful look at the data to examine what has been happening to America’s workers since 1990, paying particular interest to differences across workers with different levels of education. In addition, an accompanying interactive feature allows users to further explore these eight profiles by comparing employment, occupational, and earnings patterns between 1990 and 2013. Scholars and public commentators have recently debated the impact of education on earnings and earnings inequality. Some have argued that improving education is not the sole solution to inequality. In this economic analysis, Brad Hershbein, Melissa Kearney and Lawrence H. Summers clarify the different elements of the public debate and note explicitly that these positions are not necessarily at odds. 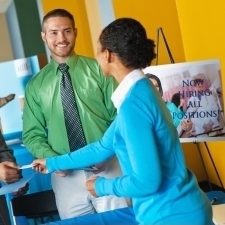 On March 11, The Hamilton Project hosted a forum and released three new papers focusing on how the U.S. economy can be strengthened by expanding labor market opportunities. 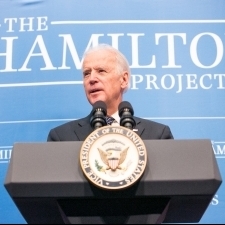 United States Vice President Joe Biden delivered remarks.The first panel discussed a new proposal suggesting four major reforms to occupational licensing policies. The second panel discussed two papers that seek to strengthen unemployment insurance and increase the rates of minority entrepreneurship. The United States has experienced a fairly steady recovery since the Great Recession—fifty-three consecutive months of positive job creation as of this writing—but there is room for continued improvement.This framing memo from The Hamilton Project discusses three proposals from prominent scholars, each of which addresses a specific challenge in a potentially cost-effective way to address both cyclical and longer-term labor market challenges and, suggests ways to help workers. As of the end of February 2015, our nation faces a jobs gap of 3.3 million jobs. In this economic analysis, The Hamilton Project explores the recent growth of jobs in the U.S. economy, and takes an historic look at past recessions and growth between 1981 and 2007. 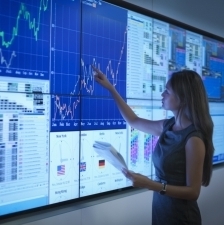 Recent developments in technology, including the proliferation of smart machines, networked communication, and digitization, have the potential to transform the economy in groundbreaking ways. In this framing paper, The Hamilton Project explores the debate about how computerization and machines might change the future of work and the economy, and what challenges and opportunities this presents for public policy. 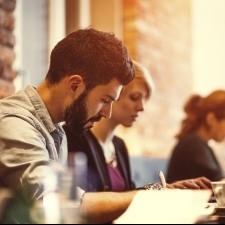 Nearly 30 percent of workers in the U.S. need a license to perform their job. It is important to realize that occupational licenses are not mere state-sponsored certificates to signal that workers have completed some level of training; occupational licensing laws forbid people from practicing in their occupation without meeting state requirements. High rates of crime and incarceration impose tremendous costs on society, with lasting negative effects on individuals, families, and communities. Although crime rates in the US have been falling steadily, they still constitute a serious economic and social challenge.